The current issue of Grassroots Economic Organizing contains a very interesting discussion among researchers and practitioners of diverse types of collective action. What is reassuring is that some common agreement does exist among researchers and practitioners. The group, who has written this special issue, understands human behavior as being complex and based on a variety of values and goals, rather than simple and based on only on the maximization of individual wellbeing. When one models collective action using a narrow set of assumptions that individuals always seek their own private good ahead of all other goals, the prediction about collective action is very clear. One simply predicts that individuals will not engage in collective action unless they are paid in some concrete fashion or are required to do so by well-enforced rules and laws. When one assumes that individuals seek multiple goals including short-term self interest as well as longer term self and group interests, fairness, reciprocity, and achievement of community goals that are of importance to an individual and to others, it is more difficult to make simple predictions about behavior. 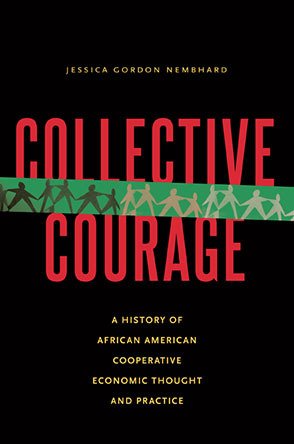 One cannot simply switch from a presumption that no one will cooperate while engaged in purely voluntary activities, to assume that when groups of individuals learn how to trust one another, engage in reciprocity, discuss common goals, and work together to achieve these goals, they will always engage in collective action. Many of the authors discuss the Institutional Analysis and Development (IAD) framework and how it has been used to undertake a variety of research projects across the world. It is very reassuring for me, who has been involved in the development of the IAD framework for three decades, to read some of these exciting articles about its application and use. I hope that the readers of this issue see a serious academic effort to understand the challenges facing groups of individuals, who work together to achieve common goals including everyday living together as well as achievement of a variety of ecological goals beyond the household. The term "polycentricity" may be particularly confusing to readers, who come across this term for the first time. For a long time in political science, scholars recommended monocentric systems as the optimal way of organizing collective action through governments at various scales. The presumption was that you needed a single center of authority in a metropolitan area or for a state or for a nation. There was recognition that you needed different governance arrangements at different scales but not a recognition of the importance of enabling diverse ways of organizing within and across scales. In some national systems, the terms "federalism" and "polycentricity" are closely related, but most citizens do not think of a metropolitan area serviced by a diversity of units at multiple scales to be a federal system. Long ago, we found that the presumption was incorrect that having multiple units serving a metropolitan area in regard to police services was inefficient. There are diverse economies of scale to be achieved related to police services. There are, for example, substantial economies of scale in the conduct of dispatching now that electronic devices are so readily available. A central dispatch office can keep track of a large number of individual police cars and dispatch the most appropriate unit to an address also shown to the dispatcher using geographic information systems programs. Similarly, the equipment needed to do careful laboratory investigations of blood samples and other materials related to a particular crime is also something that involves substantial economies of scale. Purchasing the equipment and training the technicians, is a very expensive effort. However, in most metropolitan areas in the United States, police departments have already created cooperative agreements. Frequently, the large hospital in the metropolitan area takes on the responsibility for doing criminal laboratory assessments. The equipment is already in the hospital. All that is required is training at least one technician in additional forensic analysis techniques. On the other hand, when police patrol and respond to calls in a smaller community of 25,000-50,000 citizens, they get to know the area much better. In a large 80 metropolitan area study, colleagues at Indiana University long ago found that polycentric organization of police services was the most effective across metropolitan areas (see E. Ostrom and Roger Parks, 1999). Thus, polycentric systems can gain the advantage of large scale where there are substantial economies of scale as well as the multiple advantages of small scale where participants get to know one another well, learn about local problems extensively, and can create imaginative and effective solutions to local problems that differ substantially from one place to another. The articles in this issue are all very well written and describe their question well. It has been a real pleasure for me to read the drafts of the articles. I look forward to seeing the final issue published. Elinor Ostrom and Roger B. Parks. 1999. "Neither Gargantua nor the Land of Lilliputs: Conjectures on Mixed Systems of Metropolitan Organization," in Michael McGinnis (ed.) Polycentricity and Local Public Economies. Ann Arbor: University of Michigan Press. 284-305. Elinor Ostrom is Distinguished Professor, Arthur F. Bentley Professor of Political Science, and Senior Research Director of the Workshop in Political Theory and Policy Analysis, Indiana University, Bloomington; and Founding Director, Center for the Study of Institutional Diversity, Arizona State University. She is a member of the American Academy of Arts and Sciences, the National Academy of Sciences, and the American Philosophical Society, and a recipient of the Sveriges Riksbank Prize in Economic Sciences in Memory of Alfred Nobel 2009, Reimar Lüst Award for International Scholarly and Cultural Exchange, the Elazar Distinguished Federalism Scholar Award, the Frank E. Seidman Distinguished Award in Political Economy, the Johan Skytte Prize in Political Science, the Atlas Economic Research Foundation's Lifetime Achievement Award, and the John J. Carty Award for the Advancement of Science. Her books include Governing the Commons (1990); Rules, Games, and Common-Pool Resources (1994, with Roy Gardner and James Walker); Local Commons and Global Interdependence: Heterogeneity and Cooperation in Two Domains (1995, with Robert Keohane); Trust and Reciprocity: Interdisciplinary Lessons from Experimental Research (2003, with James Walker); The Commons in the New Millennium: Challenges and Adaptations (2003, with Nives Dol?ak); The Samaritan's Dilemma: The Political Economy of Development Aid (2005, with Clark Gibson, Krister Andersson, and Sujai Shivakumar); Understanding Institutional Diversity (2005); Understanding Knowledge as a Commons: From Theory to Practice (2007, with Charlotte Hess); and Working Together: Collective Action, the Commons, and Multiple Methods in Practice (2010, with Amy Poteete and Marco Janssen). Elinor Ostrom (2011). Guest Introduction. Elinor Ostrom and Roger Parks Discuss the "Police Studies"